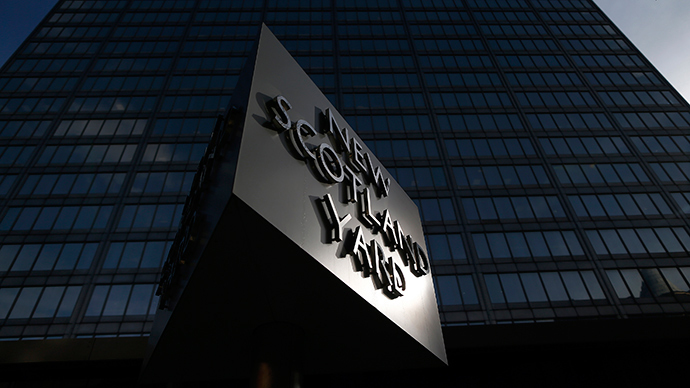 A judge-led inquiry into undercover policing in Britain and the actions of Scotland Yard’s Special Demonstration Squad (SDS) was launched on Thursday to address “serious historical failings” in covert UK policing practices. Judge Lord Justice Pitchford will lead the probe, with witnesses permitted to give evidence. Pitchford is set to scrutinize Britain’s use of police officials in undercover roles by the SDS, the National Public Order Intelligence Unit and other police forces across England and Wales. Home Secretary Theresa May said the work of barrister Mark Ellison and Operation Herne – an investigation into covert policing at Scotland Yard – has unveiled stark “historical failings” in undercover UK policing tactics. Ellison successfully prosecuted Gary Dobson and David Norris in 2012 for the murder of teenager Stephen Lawrence in 1993. The British barrister has been examining allegations of police corruption relating to the initial investigation into Lawrence’s killing for some time. Following the release of a report in March 2014, it emerged he had evidence Scotland Yard had spied on the Lawrence family. Operation Herne revealed the now-disbanded SDS conducted clandestine operations to source information relating to 18 social justice campaign groups over the course of 35 years. Among these groups is the Jean Charles de Menezes Family Campaign. The campaign maintains De Menezes was shot multiple times in the head in 2005 by police officers at a tube station in South London as part of a planned counter-terror operation. The 27-year-old electrician, who was mistaken for a terrorist in the wake of the July 7, 2005 London bombings, died at the scene of the shooting. His family was offered approximately £100,000 by Scotland Yard as compensation following a four-year legal battle addressing the injustice of his death. The SDS was founded in 1968, and officially became defunct in 2008. It was blighted by allegations of undercover operatives who forged sexual relationships with female campaigners in a bid to foster trust in their fictitious identities. May expressed profound shock at these revelations in 2014. She pledged at the time to establish a public inquiry to investigate covert policing in Britain and the practices pursued by the SDS. The Home Secretary initially said Ellison’s work and related criminal investigations should come to a close prior to commencing the probe. However, it has since emerged this work requires more time than initially anticipated. “In the interest of learning the lessons of past failures, I have decided to establish the inquiry now while ensuring existing work is not affected,” May said on Thursday. While she maintained undercover policing is a vital tactic in fighting crime, she said ensuring such failings are not repeated is essential if public confidence in covert police work is to be increased. The findings of an independent review, examining the Home Office’s knowledge and oversight of SDS practices, was also published by the Home Secretary on Thursday. The review, conducted by Stephen Taylor, was commissioned by the Home Office in March 2014. Taylor’s probe concluded there was no evidence that the Home Office had knowledge of the targeting of groups campaigning for social justice by undercover SDS officers. Equally, his report failed to unearth any evidence it had knowledge of SDS officers cultivating intimate relationships with women under false premises. Criminal activity and false court testimonies by SDS operatives that could prompt miscarriages of justice also allegedly went undetected by the government body. New regulations to offer protection to police whistleblowers will also be implemented on May 1.The regulatory shift will strive to offer them greater protection from unjust disciplinary treatment. As part of this planned reform, whistleblowers’ complaints to Britain’s police watchdog need not necessarily be referred back to the relevant force before the start of an investigation.